A Medicaid trust may be necessary to protect your assets in anticipation of the need to qualify for Medicaid benefits in the future. Those benefits may be needed to cover the high cost of long-term care, which averages over $80,000 a year in the State of Texas. Considering the average length of stay in a long-term care facility is 2.5 years it is easy to see how paying for that care out of pocket could quickly deplete your life savings. Yet, without Medicaid you may be forced to pay out of pocket because neither Medicare nor most private health insurance policies cover long-term care costs. While Medicaid does cover costs associated with long-term care, you must first be found eligible for benefits. Eligibility for Medicaid is based, in part, on an applicant’s income and countable resources. As a retiree your income may fall below the program limits; however, your countable resources could easily be valued at more than the program limits given the fact that the limit is as low as $2,000 for an individual applicant. If your assets exceed the limit you will be required to “spend-down” those assets until their value falls below the limit. Medicaid planning seeks to avoid the loss of assets by planning ahead and anticipating the need to qualify for Medicaid in the future. A Medicaid trust is often used as part of an overall Medicaid plan. A Medicaid trust is an irrevocable trust that is created to take ownership of assets that would be considered countable resources when you apply for Medicaid. Because the trust is an irrevocable trust, once you transfer an asset into the trust it is no longer part of your estate and, therefore, no longer a countable resource. When created early enough, and drafted properly, a Medicaid trust can protect considerable assets. The key, however, is to start planning early by including Medicaid planning in your comprehensive estate plan long before you reach retirement age. 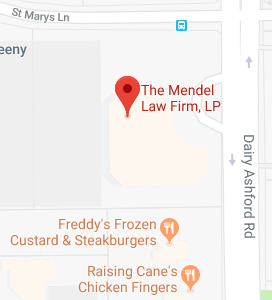 If you have additional questions about Medicaid planning contact the experienced Texas estate planning attorneys at The Mendel Law Firm, L.P. by calling 281-759-3213 to schedule your appointment today.